Ever since Kate Mara married actor Jamie Bell last July, she hasn’t left her husband’s side. While Kate manages a busy work schedule as well, the actress makes sure her husband is top priority. The 34-year-old flew all the way to London just to be by her husband’s side, looking fashionable as she did so. Kate stepped out in Odeon Leicester Square, London for the “Film Stars Don’t Die in Liverpool” premiere. Kate Mara at the BFI LFF European Premiere of “Film Stars Don’t Die in Liverpool” held at the Odeon Leicester Square in London on October 11, 2017. Kate poses for the cameras in a flouncy Burberry dress. Kate ditched her usual blacks for a more date night-friendly look. The actress wore a flouncy, glitter Burberry dress that featured metallic piping on the pleats. 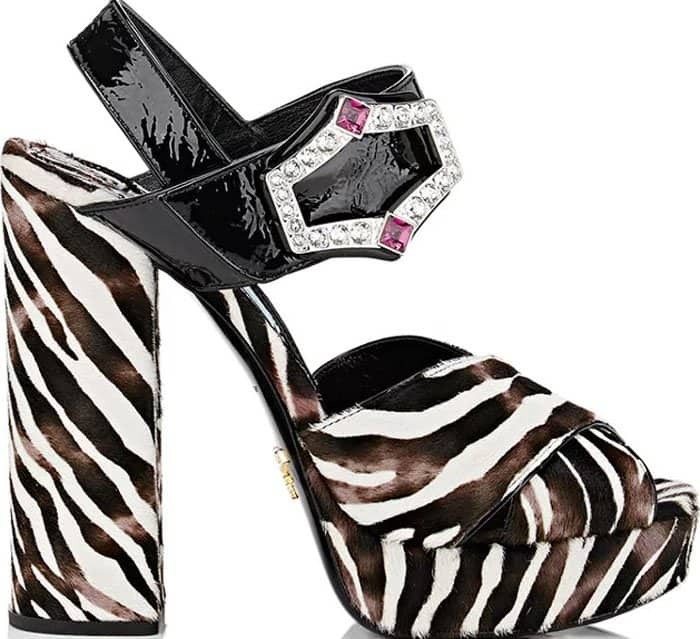 The sparkles were muted by touches of velvet on Kate’s feet and hands. 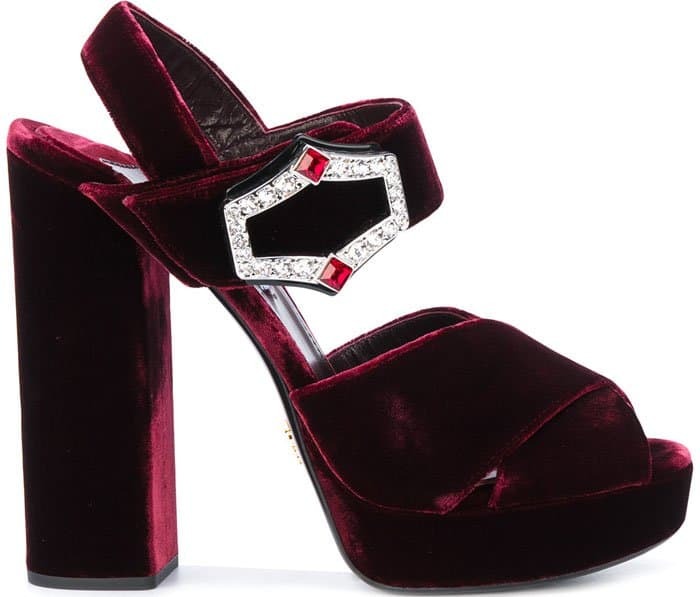 Kate wore a pair of Prada velvet platforms with beautiful jeweled buckles. Kate matched her shoes with her velvet clutch. A slathering of wine-colored lipstick finished Kate’s look. The actress towers in a pair of Prada velvet platform sandals. The adorable couple stays close together even on the red carpet. Kate was recently promoting a film she did with real life BFF, Ellen Page. The film, “Days of Mercy,” shows the two ladies on opposing sides of an issue, eventually realizing they had an undeniable connection. 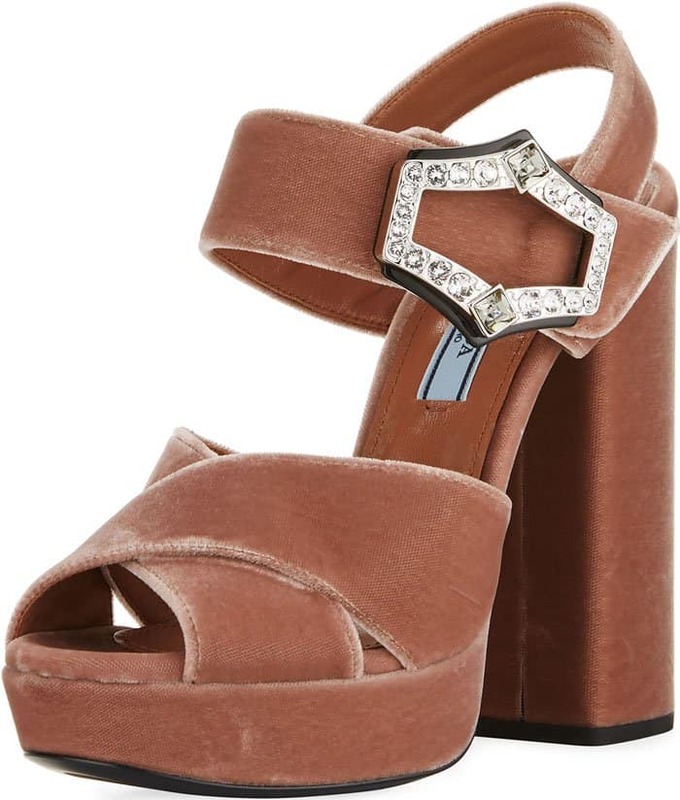 Shop Kate’s beautiful Prada jeweled buckle platform sandals in velvet at Barney’s New York, Farfetch and Neiman Marcus.